When you sell your crochet it is imperative that you remain true to yourself, otherwise people will see right through you and purchase from someone else. Everyone has their own unique style and when you are true to yourself that shines through and other people will see the value in your work. In this article we will discuss why it is so important to find your niche and stick with it. If you have been following my Selling Your Crochet Series you will have learned, how to decide what to sell, how to price it, how to actually get the prices you deserve and where to sell your handcrafted goods. If you have not been following the series I recommend starting from the beginning before continuing on to this article. When I was mapping out this series I did not include this topic in my outline. Part Five was originally going to be on marketing and advertising but something funny happened last week. I had shared an Etsy shop as an example of a successful crochet business and showcased why she was successful. I later received a message from this person asking to be removed from the article. While she was honored that I respected her work she was also bombarded with questions from people who had read the article asking her proprietary questions about her stitches, patterns, yarns etc. This particular person is very protective of her business, as everyone should be. It is her primary means of supporting her children and she was not comfortable with having many people question her about what she has fought so hard to create. I apologized and immediately removed her shop from the article. Her comments got me thinking. Did I make it seem like I wanted people to copy what she was doing? I didn’t think so but I went back and reread my original article. No, I definitely didn’t tell people to mimic what she was doing. I did suggested using good photography and having neat and professional looking crochet. So why did so many people write her asking about her shop and her private business information. The answer was clear, they wanted to gain the same success she had and thought the best way to go about doing that would be to duplicate it. Unfortunately they couldn’t be more wrong. Success does not come from a formula. Yes you can attract clients to your shop with good photography and trendy items, but in order to make a sale you need to be unique and set apart from all the other fish in the sea. How do you do that? It’s a lot easier than you may think. 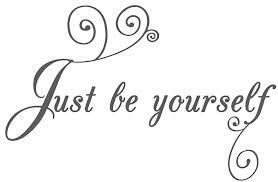 Just be yourself! Yes, just be you. Crochet what YOU like, use the colors and the patterns that speak to you. Sure you can use popular designs and color schemes but they have to be dotted amongst the crochet that you like. Don’t worry SO much about making sales. Worry more about creating work that you are proud of. The rest will follow. Pick one or two types of items that you like the best. You can’t make everything and make it well. Even if all you ever sell is hats; MASTER hats. Make them neat, clean and professional. Use clean, uncluttered photography with good lighting. You don’t have to have professional pictures, though they do help. There are people out there who will want what you like, and what you create. If you want to do baby items then do baby items but do them well. Don’t copy what other shops are doing. Why would they buy from you when they can buy from the person who’s been around longer and had more sales, even if your prices are lower (which doesn’t work anyway, believe me)! They will buy from you when they see something that is different. The only way to accomplish this is to crochet from the heart. Your spirit and soul will shine through in everything you do. Eventually you will have a style all your own. Soon people will recognize your work from others. They’ll begin to see your own unique style emerge. THAT is how you find success. NOT by trying to carbon copy of other successful vendors. Your Homework this week is to spend the rest of the week ONLY crocheting what speaks to you. If you create your own designs you will be ahead of the game. If you follow patterns, ONLY use the ones that you LOVE and pick your own color schemes. Break free from the chains of what is popular and crochet what you would want for yourself. Follow your heart! It will lead you to success!